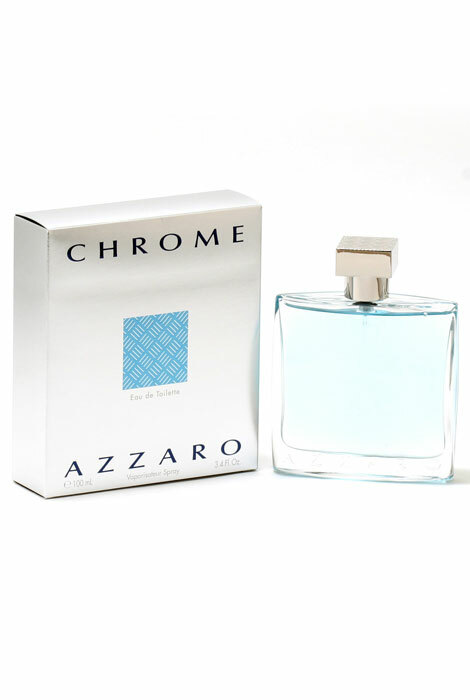 Azzaro Chrome men's perfume is a fresh, clean, soapy scent that is long lasting and sharp. It's a perfect scent for a day outdoors or to wear to a casual event. It's just a simple fragrance with a simple goal… To make you smell good! Features top notes of Lemon, Petitgrain, Rosemary and Pineapple, middle notes of Coriander, Jasmine, Cyclamen and Orris and base notes of Cedarwood, Moss, Tonka and Musk. 3.4 fl. oz. EDT Spray. No express shipping. No shipping to PO boxes.